The area designated Petrified Forest National Park has been occupied on and off for over 2000 years. While best known for its scenic natural wonders, the park also has several fascinating cultural sites. Among these are Newspaper Rock Petroglyphs Archeological District which includes a significant collection of pre-Colombian Indian petroglyphs. 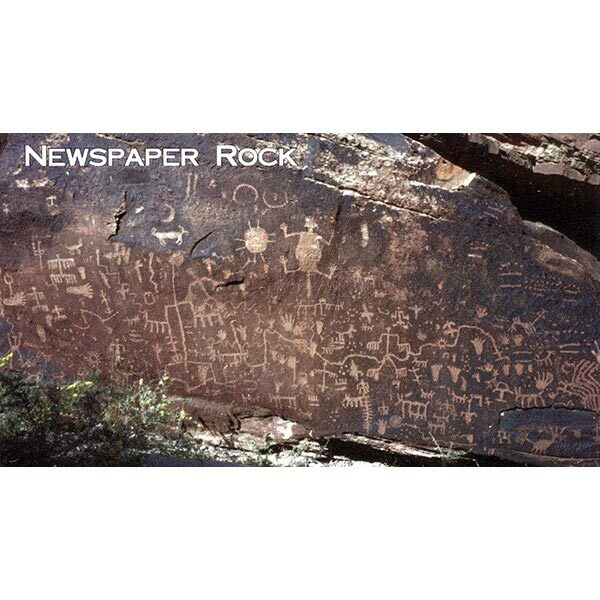 A great variety of design elements is found inscribed on the rocks, including numerous human and animal forms.